SMB marketing opportunities are endless, as all these companies will need supplies, technology, or business services of one kind or another. 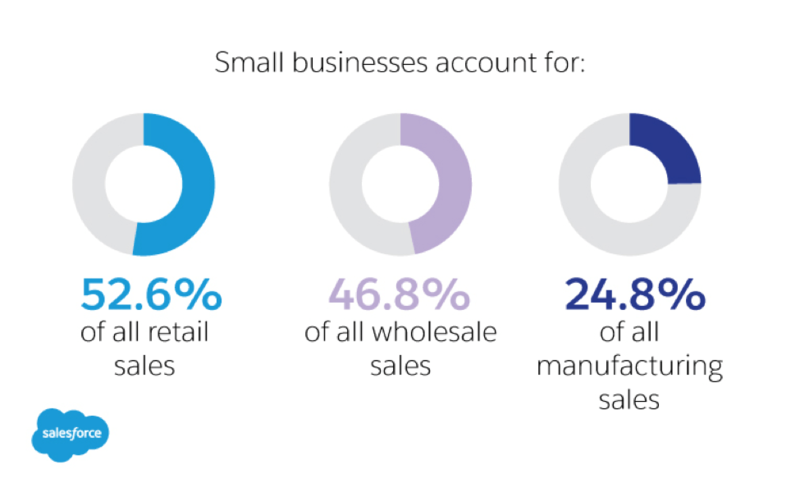 Small-to-medium businesses (SMBs) make up a majority of the companies in the U.S.. New SMBs are appearing every day. But compared to consumers, SMBs are finicky about spending money, and tend to have specialized needs. Most new companies fail in the first year for a variety of reasons. So your SMB clients may not always be there for the long term. If you are doing B2B commerce, you can make helping out SMBs a part of your marketing. But you also want to keep them engaged. Here are some common mistakes to avoid in SMB marketing. Some B2Bs assume that most small businesses are “self serve”. For example, an SMB may use QuickBooks to do all their accounting. It’s just not cost-effective to go to the time, trouble, and expense of coaxing them out of their preferred solution and into yours if the margins aren’t there. But there are millions of SMBs, and though many are self-serve, that still leaves thousands who aren’t. Often SMBs focus on internet marketing campaigns to gain customers, but prefer local vendors as more accessible and reliable. However, that’s usually a limited set of rivals to compete with. If you’re offering a new CRM system, for example, there’s a good chance that nobody locally provides it. If you uncover great leads, try approaching them through local advertising. You may have several marketing relationships, but only one payment system. Given the surge in smartphone users, you should have mobile options such as Swipely. These allow you to take payments on the go, and many such apps include tracking and reporting features. Take advantage of this and encourage your customers to do the same, both as a revenue boost and a relationship builder. One effective way to market is through technology. Having the latest tech may be a selling point. SMBs are also anxious to stay up to date, but may not have the funds or resources. If you have, or can provide, the latest payment systems, CRM, ERP, telephony, or other solutions, don’t hesitate to brag about it. For all B2B marketing, your content has to reflect professionalism. 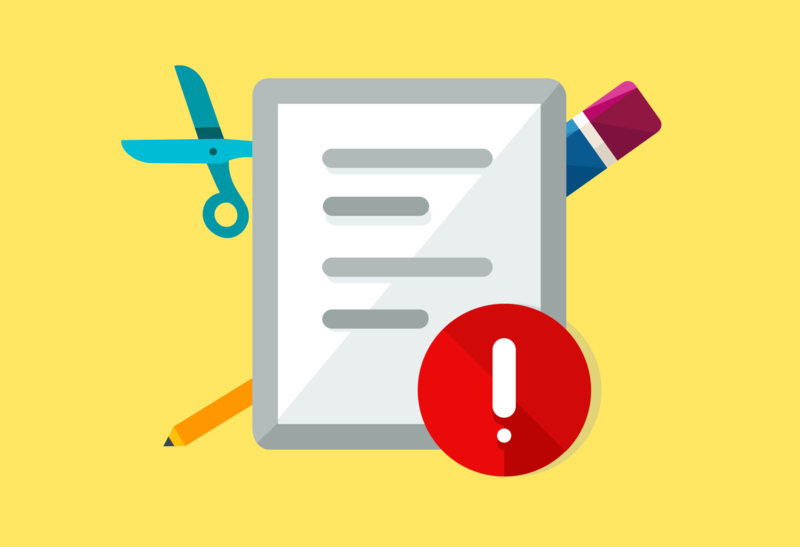 Every typo, omission, or falsehood a client spots will detract from your message. Potential clients spotting mistakes will tend to think you lack the same professionalism in performance as you do in advertising. Always have someone double check marketing materials before release. Do you really understand what your customers want? Not only as a targeted market, but as individuals? Even competitor SMBs in the same industry are different. Before you approach them, do your research to see how they serve their customers, and make it clear how you can help them with that. Build a relationship with each contact person at the SMB. B2B companies need branding as much as business-to-consumer companies do, if not more. SMBs, who are drawn to you because of a commitment to customer service or other brand characteristics, will know when you stray from your mission. It’s a broken promise. Defining your message and staying true to it is better in the long run than abandoning it for a quick profit. SMBs get added to mailing lists because of their industry or location. Suddenly there’s a flow of ridiculous emails, such as marketing fencing services to a fence services company. It happens because companies use email lists based on internet searches and nothing else. Build your email lists internally from opt-in prospects. Emails will be much more effective if you know the SMB and they know you. You want a strong internet presence for your B2B, and that includes high search-engine rankings. At some point you’re going to get fed up with SEO if it only gets your listing to 72nd where nobody will see it. So you pay an SEO “consultant” big dollars to advance your listing to – 66th!? There is no magic formula. If you hire someone, base your choice on their promptness and quality of results. Coming up with the right brand is a primary marketing goal. Proper branding means immediate, positive recognition of your B2B company. It could be compelling stories about the company’s award-winning expertise, or many other ideas. But you should base it on the marketing choices of the SMBs you cater to. Be sure the brand fits your industry, and that the brand fits you. Conduct regular internet searches on your company name or major services. Do past clients or prospects have blogs? What they have to relate gives you a good idea of where you went wrong, and what you’ve gotten right. Address issues, but build on your strengths. Encourage feedback following all of your SMB interactions. If you see marketing as a chore, you’ve got the wrong attitude. Not every campaign will succeed, but even the best services can’t rely on word-of-mouth alone. Marketing is a bit of a gamble, so make it an informed gamble. It should be data-driven but at the same time creative. Pumping a steady flow of money into forgettable campaigns is not a good investment. No company can capture 100% of the SMBs in its niche. You want to focus on making profits that can drive growth. If you truly have unique products or services to offer, focus your marketing on that. In the end, SMBs are like any other buyer – they want something of value from a provider they trust. But you have to connect with them before you can deliver. What tips do you have for SMB marketing? Let us know in the comments!